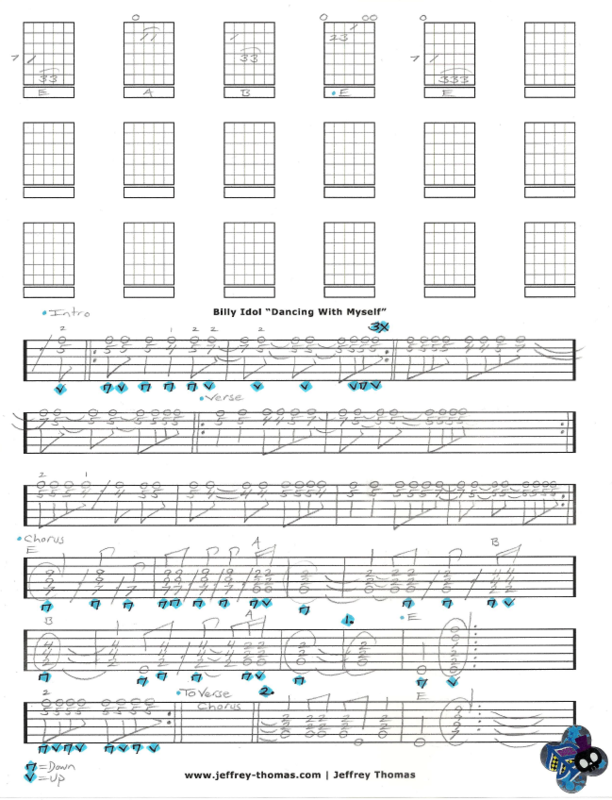 Billy Idol Dancing With Myself Free Guitar Tab by Jeffrey Thomas. Learn this punk rock classic with accurate free guitar tab! Learn to play all the signature licks, chords, picking details, fingerings and song structure. Great guitar playing by Steve Stevens here and this is a popular song request from my guitar students. Want the full guitar tab for free? Send in your email address using the form provided. Looking for online guitar lessons? Fill out the Schedule A Free Lesson form to set up a free Skype guitar lesson today. This song was originally release by Generation X in 1980 then re-mixed and re-released in 1981 with Steve Stevens on the guitar. Make sure to check out more free online guitar tabs on my tab, video and blog pages.